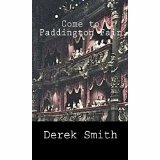 After I blogged about Derek Smith’s Whistle Up the Devil I downloaded his other ‘impossible crime’ novel, Come to Paddington Fair. I was planning to save it, but soon succumbed and what a corker it turned out to be. I would definitely have included it in my list of favourite books set in theatres if I’d known about it. The death scene in the final act West End play goes very wrong in front of a matinee audience to which someone has invited a Scotland Yard inspector, Steve Castle, and his friend, Algy Lawrence, the amateur sleuth who featured in Whistle Up the Devil. A gun has been loaded with bullets instead of blanks and a very unpopular actress ends up dead. The theatrical setting is very well done, and I was completely bamboozled by the puzzle. At one point I did have the faintest of inklings about how it might have been done, but I couldn’t bring it into focus and was completely and satisfyingly foxed. When the solution was revealed, it was both ingenious and yet – in a way – obvious: perfect. I was sad to discover that Derek Smith wrote so little. Come to Paddington Fair was apparently only published in a small print run in Japan and wasn’t published in the UK at all. Given its quality, this seems extraordinary and I am so sorry that Smith didn’t write more. I applaud Locked Room International for making these these lost classics of the genre available. Present tense? It’s happening right now! The other day I was browsing in a bookshop and picked up a crime novel that has been well reviewed. I opened it and it was written in the present tense. Back it went on the shelf. It was the same with the next one I looked at. Is it just me, or are more novels written in the present tense these days? I have a real prejudice against this. It isn’t that I absolutely won’t read one written in the present tense, but my heart sinks when I see it and it is a barrier to be overcome. It has put me off reading Wolf Hall – though eventually I may get round to it. True, I have written in the present tense myself – but only in a couple of short stories. I quite like the present tense for a short story – though there too it can be overdone. For a novel the past tense comes more naturally to me. It seems more logical: the events of the story have happened in the past. They are not happening right now as they are being recounted and as one reads. This kind of immediacy is of course what is aimed at with the present tense and as with all fiction it is a matter of suspending one’s disbelief. I just find it harder with the present tense. I’d love to know what other readers – and writers – think. 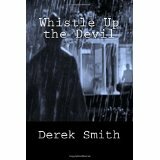 I do like a locked room mystery and I can heartily recommend Derek Smith’s Whistle Up the Devil (1953) and newly republished. It’s a fairly short novel, which for me is in its favour, and I read most of it over the course of a train journey. It is a familiar set-up – family curse, eldest son murdered in a locked and guarded room at midnight – but done with tremendous verve. The first murder is followed up by one almost as mystifying, but in a different location. I was gripped from beginning to end. The clues were planted perfectly fairly, but the trick with this kind of novel is to keep you reading at such a lick that you go galloping past them without noticing. Which is exactly what I did. I could have kicked myself at the end, when the solution was revealed. There are a few weaknesses. 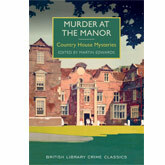 Algy, as the gifted amateur sleuth respected by the police, is a pallid imitation of Lord Peter Wimsey, and the characterisation – particularly of the women – made my eyebrows shoot up at one or two points. But no matter, this was a terrific read. In fact I enjoyed it a lot more than John Dickson Carr’s The Case of the Constant Suicides, which I read around the same time, and found rather feeble in comparison.